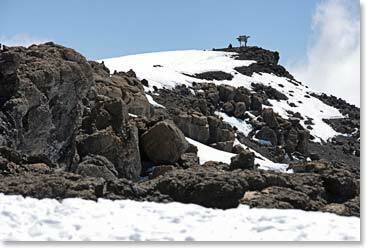 On March 1, Rose-Eve was experiencing shortness of breath at 15,090 feet at the Lava Tower. To be on the safe side she was taken down the mountain with her Berg Adventures guides to the road on the edge Shira Plateau at 11,600 feet. From there Rose-Eve was driven to the Mount Meru hotel where she has been resting for the last few days. 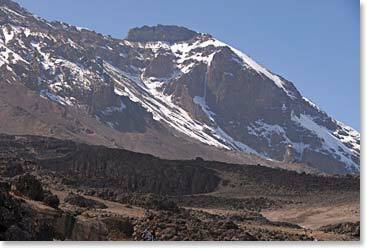 On March 2nd, we received news from the team that they had arrived at Karanga Camp at 13,100 ft. After the Karanga camp the team went on and hiked to high camp on March 3rd. We received a message from the team on March 4. 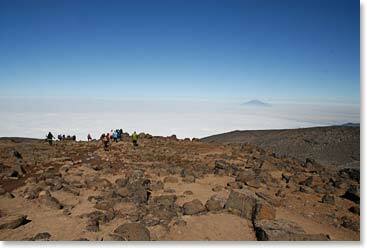 The summit climbers, George, Cynthia, Cindy and Anne-Marie all reached the summit of Kilimanjaro early in the morning. After reaching the summit George and Anne-Marie decided to descend all the way down the mountain to the Mweka Gate. 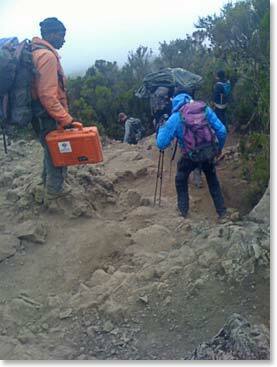 Incredibly they reached Mweka, at the bottom of the mountain, with their guides and porters, at 2:00 PM. 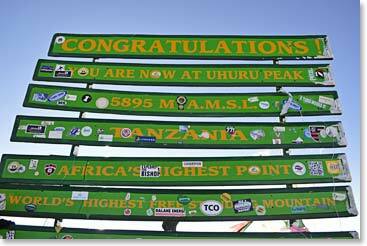 They were fast, faster than we have ever had anyone climb and descend Kili! Arnold picked them up and they went to Moshi and then returned to Arusha via the city of Moshi. Watching the clouds roll through below us! Emmanuel our lead guide for the climb is amazing! From the summit Cynthia and Cindy descended to Millennium camp at 13,000. 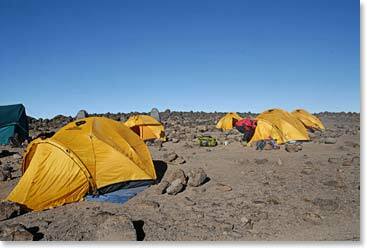 They camped there with lead guide Emmanuel and his crew. They made their descent to the park gates the following day. On Wednesday March 5th we talked to Cynthia and Cindy just as they returned to the hotel they said they were very happy with their accomplishments on Kilimanjaro. They enjoyed climbing with their guides, they were really impressed by Emmanuel, and loved exploring the beautiful landscapes of Kilimanjaro. George and Anne–Marie, now reunited with Rose–Eve were also proud of their accomplishment. 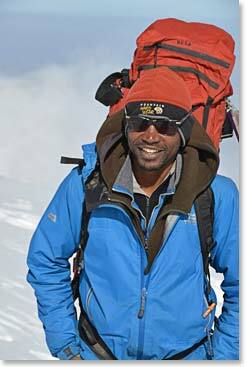 Their one-day ascent and descent showed remarkable strength and mental focus. On the 6th Cynthia and Cindy went to Kilimanjaro International Airport for their international flights. Great job ladies on a remarkable climb! The adventure now continues for the rest of the team. Their wildlife safari guide, Thomas arrived at the hotel for a briefing on the Thursday afternoon. Tomorrow they will begin their 3-day wildlife safari where they will be on the lookout for the unique wildlife Northern Tanzania has to offer!